Agriculture built North Carolina. The NC Plant Sciences Initiative will keep it growing. Complex challenges demand complex solutions. A rapidly growing population. Less farmland. Climate and water shifts. Emerging crop diseases and pests. These are just some of the challenges facing agriculture today. The NC Plant Sciences Initiative (PSI) strives to address these grand challenges. We are bringing the brightest minds in academia, government and industry together to drive innovation that increases yields, creates new varieties, extends growing seasons, enhances agricultural and environmental sustainability and produces new and improved technology. Interdisciplinary teams that can shift nimbly. 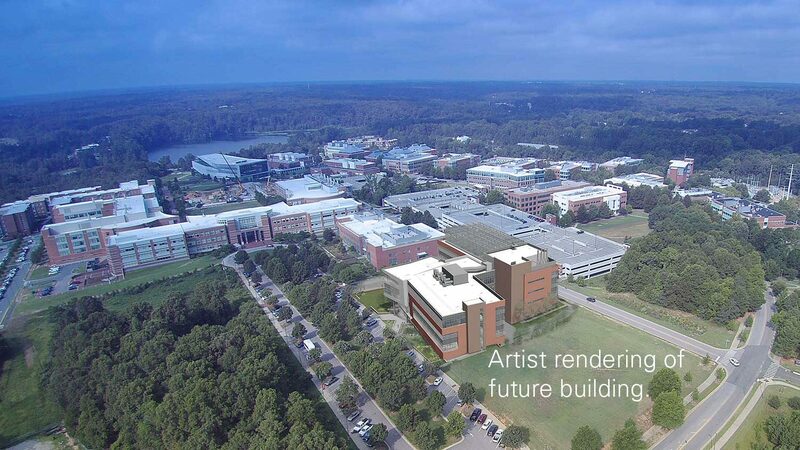 Establishing the PSI Building on NC State’s Centennial Campus will be the tipping point in the College of Agriculture and Life Sciences’ (CALS) ability to impact North Carolina and the world of agriculture. Think of all the good we can do. The grand challenges facing the world don’t mimic the neat organizational structure of a traditional university. Take hunger, for example. As the climate changes, populations grow and arable land shrinks, it’s going to take a collaborative approach to ensure reliable plant-based food sources. NC State researchers in biology, computer engineering and environmental engineering are merging botany and big data to determine why some plants wither under stress while others thrive. 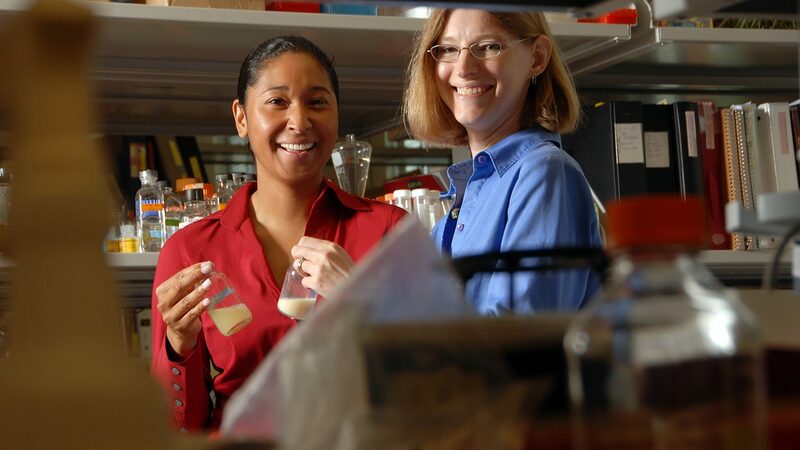 An interdisciplinary research model is the cornerstone of the NC Plant Sciences Initiative. Having plant scientists collaborate with experts in engineering, economics, biology and even marketing ensure the research covers all the potential aspects. And resulting in a strong, cohesive purpose and greater market potentials. 90+ crop varieties are produced in N.C. Help us develop more. The NC Plant Sciences Initiative will certainly help grow agriculture in our state. But it will also help in ways you may not expect, due to its the interdisciplinary approach. Scientists will be needed, of course. But so will engineers, mathematicians and economists. As well as disciplines ranging from meteorology to marketing. What’s developed in the lab will need to be tested in the field. NC State and the N.C. Dept. of Agriculture and Consumer Services oversee more than 30 testing facilities. These sites give our farmers the new varieties and methods they need to improve yields and raise profits, growing local economies. In short, our impact is innovation in action. Here’s one example: NC State researchers developed the Covington sweet potato variety in 2005. Look at how successful it’s been in under 10 years. Partnerships that will impact generations to come. 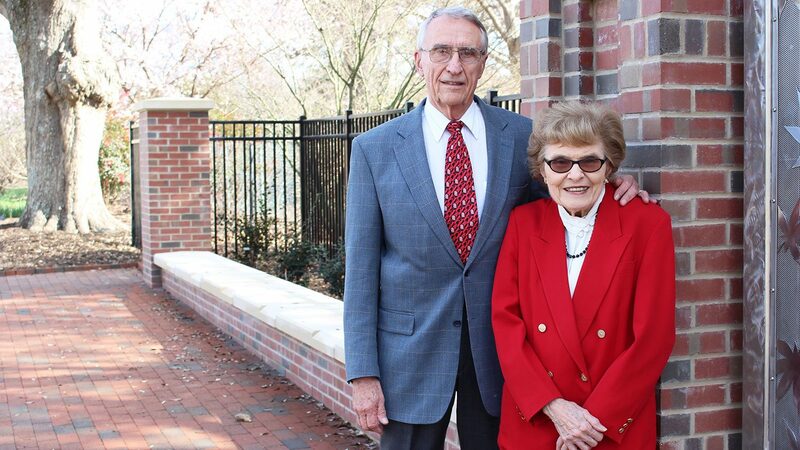 The people of North Carolina, the Golden LEAF Foundation, commodity groups and agricultultural organizations and NC State University have already gifted financial support. 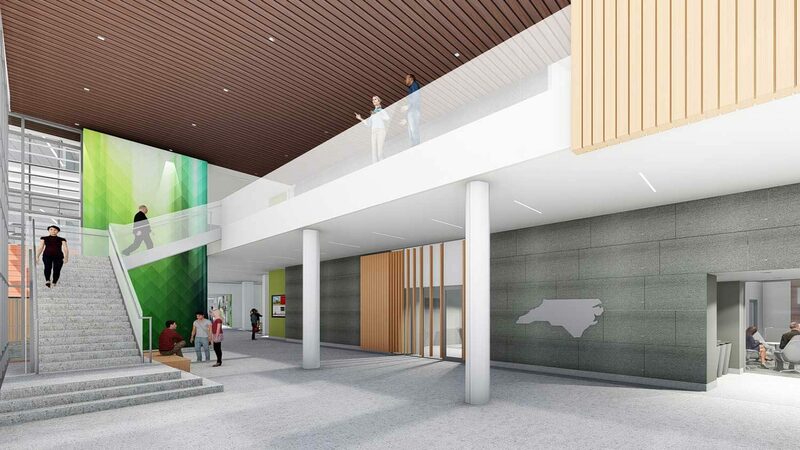 The NC Plant Sciences Initiative has received strong support from commodity groups and the biotech industry, underscoring the state’s desire to create a global hub for plant sciences. For Dan Weathington, executive director of the North Carolina Small Grain Growers Association, supporting the initiative is a matter of supporting the state’s farmers. Together we define the future of plant sciences. Join us. 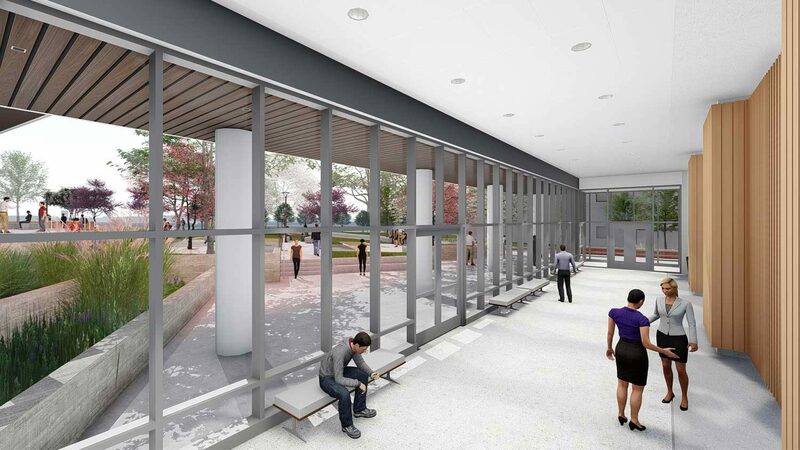 The first level of the building focuses on the integration of community based efforts and education of the public. 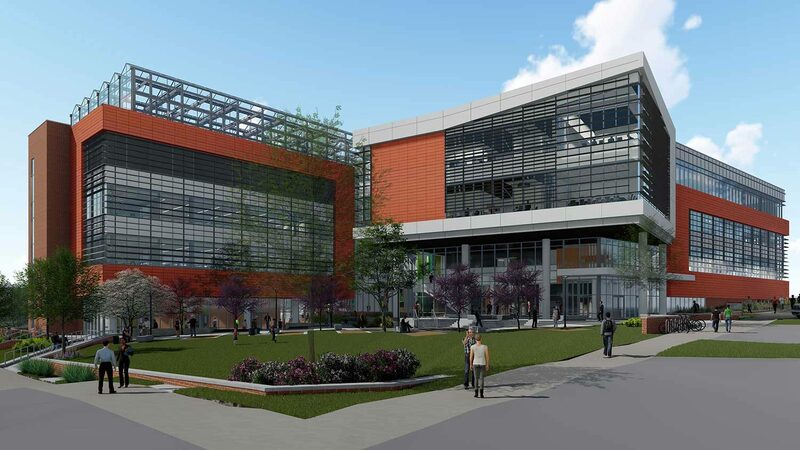 A welcoming, two-story entrance titled the “Hearth” will highlight a demonstration area focused on the agricultural sciences and projects that are going to be housed at the Plant Sciences Building. Best-in-class seminar, lecture and common spaces where all partners, students and stakeholders will interact in ways that transform innovation and learning. This highly visible location accommodates 135-150 people for seminars and workshops. The pre-function space will provide a gathering area for collaborators before and after events in this room. 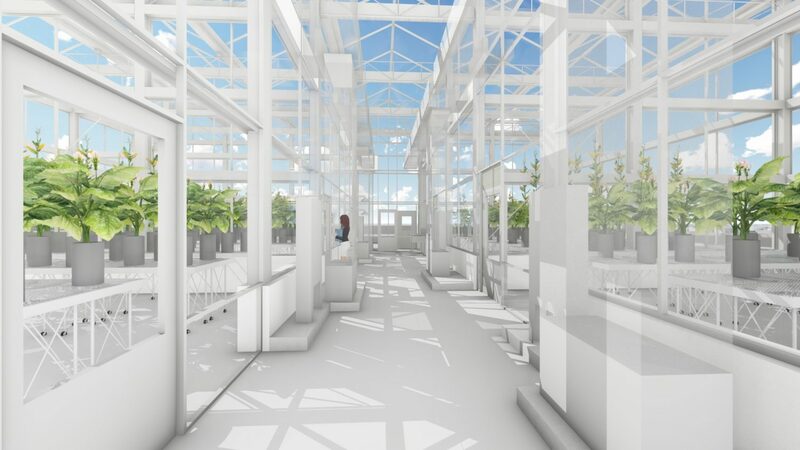 Rooftop greenhouse space will provide fully conditioned under glass growth environments. 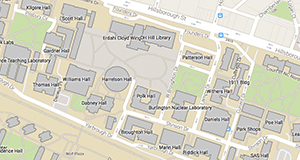 There will be a mix of BSL2 and BSL3 greenhouse space located on the fifth level. This controlled-environment facility for working with and containing plant diseases and insects can house select agents that are not currently present in the United States. The Boardroom will overlook the Oval and will have dramatic views of the Oval, Hunt Library and the lake beyond. Located on the third floor, this space is where leading minds come to discuss complex problems. The room will hold 30 people. 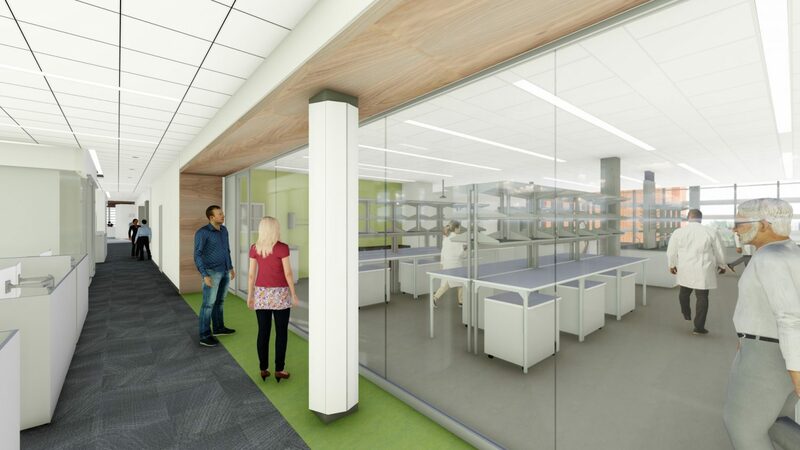 The Plant Sciences core laboratory support spaces (aka “anchor labs”) will provide access to state of the art equipment and staff to support the research projects of the PSB. The core labs distributed across each lab floor and will include growth chambers and environmental rooms. Anchor Labs: Genotyping Lab, Spectroscopy and Omics Suite, Transformation Suite, Soils Analysis Lab and Engineering Lab. 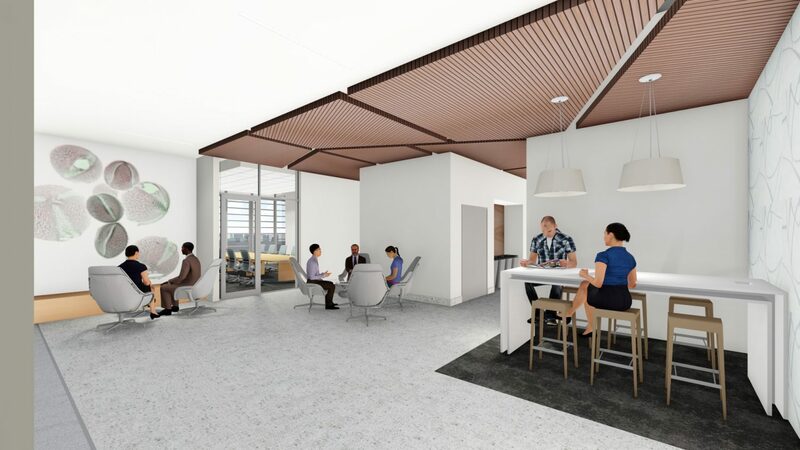 Break spaces and shared conference space is clustered between research wings on each floor, providing amenities at the center of the building, positioned to maximize interaction and collision on each floor. 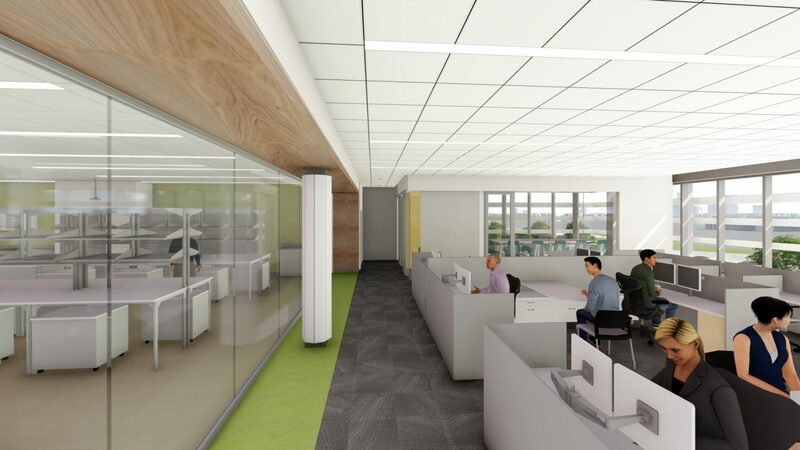 The spaces will have different amenities and atmosphere to encourage researchers to leave their floor in search of different environments. Eminent scientist Charles Stuber is stepping down after 13 years as director of the consortium he helped to create at NC State. 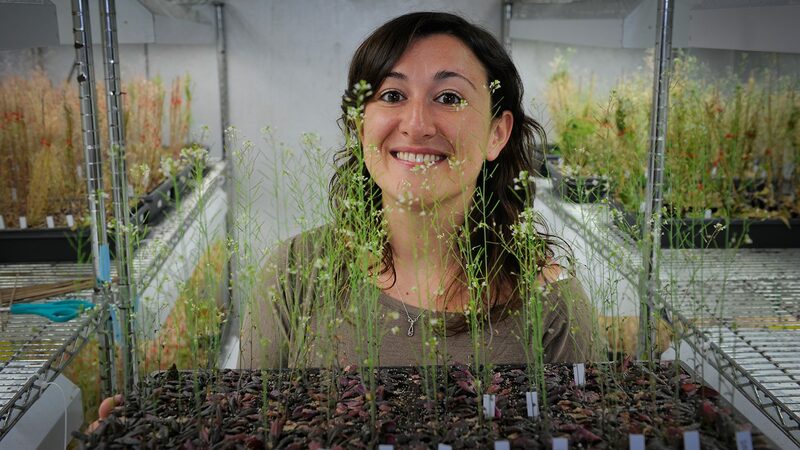 A common perennial grass may hold uncommon promise for research, agriculture and industry – and it may even fuel the future. A team of NC State scientists are exploring the potential of miscanthus. An international team, including researchers from NC State, identifies the regulators that spur plants to grow larger and more complex once they’ve germinated. The research, published in the journal Nature, has important implications for agriculture.